Horses, Hattie's and Siro's filled my perfect childhood summers in the Spa City. Saratoga Springs holds a very special place in my heart; it always has. Growing up, August meant Saratoga. My parents—Winston and C. Z.—and I, and a few dogs and horses, would make the trip from our home on Long Island to a house we rented for the month of August in Saratoga. I don’t think the drive was ever complete without a speeding ticket! We generally rented a house, but when I was older, I would sometimes stay at The Holiday Inn, which was where—if you can believe it—“all the cool people were”! My parents had racehorses up there with our wonderful trainer, D. M. “Mikey” Smithwick. Mikey was a lovely man, full of life and fun, and an incredible horseman. Our racehorses were at the Saratoga track. My mother would bring up some horses and ponies for us to ride on. They were stabled at Mikey’s house on the backside of the track. Mornings always started with a trip to Dunkin’ Donuts, and then we went straight to the barn. My dad got me my first Jack Russell terrier in Saratoga. He was a longhaired, scruffy little man, and I named him Jack. Jack never left my side. I also had a white pony called Ivanhoe, or Ivy. Guest at her foundation, Artemis Farm Rescue. My favorite thing to do on those long, hot August days, was to follow Mikey everywhere. We’d go watch the horses work, and I’d ride around everywhere, visit all my pals at different barns and ride all over the place. One year, I got in big trouble jumping people’s hedges. I thought hedges in stately homes made wonderful jumps. The Saratoga police were called, and I, of course, was in big trouble. I felt terrible and I walked Ivy to every house to apologize in person. To this day, I remember it all so clearly. My parents, bless them, were ready to kill me. I simply loved to jump my pony, so anything I saw that I could jump, I would! Those days also meant having lunch with my father, either at home or at the track, but my favorite place to go with him was, hands-down, Hattie’s Chicken Shack. So many people from the track were there, and to hear the stories of the track and horses was always so much fun and a great part of my day. 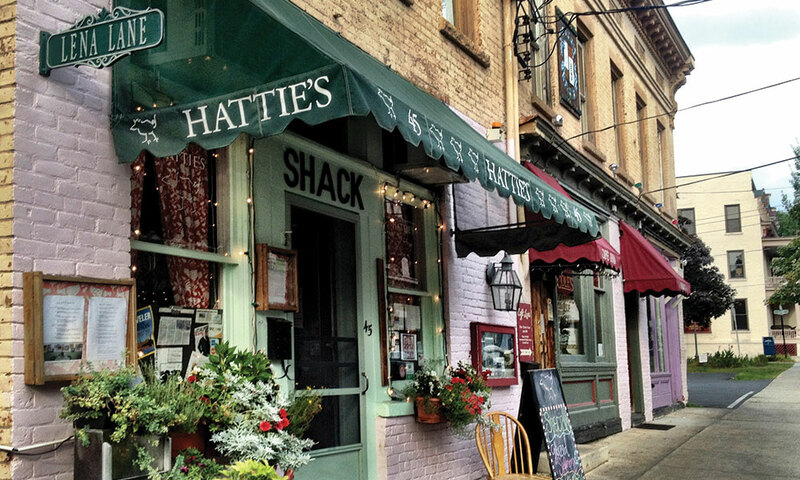 Guest loved going to Hattie’s Chicken Shack with her father. Most afternoons we’d make our way to the Hand Melon Farm outside of town. Hand melons were my father’s absolute favorite. He loved to pick them out and he’d savor every bite. I’ll always remember the uncomplicated delight on his face when he ate one of those melons. My parents, as so many others also did, loved to go to Siro’s for dinner. I remember it always being so festive, and everyone was all dressed up and looking very glamorous. It felt very Saratoga. And I loved it. 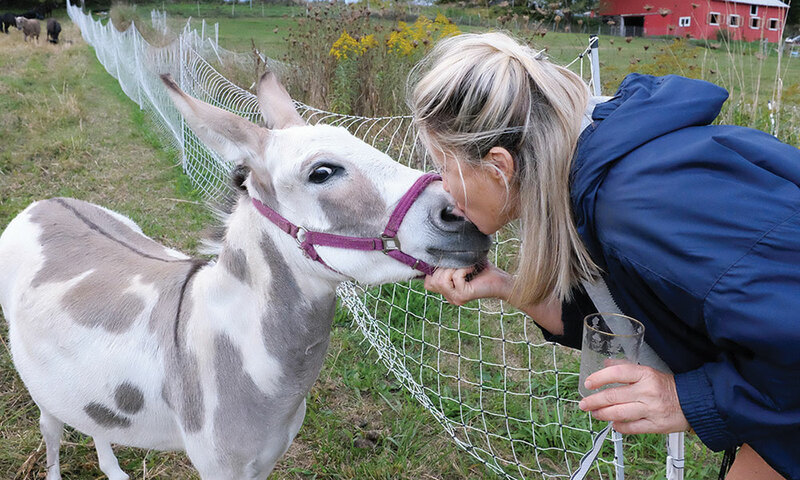 I hadn’t been back to Saratoga Springs for a number of years until this past August, when I was thrilled to be honored by Equine Advocates for my work via my foundation, Artemis Farm Rescue, where we rehabilitate and provide a sanctuary for rescued miniature horses and donkeys. It was an incredible honor, and the party was nothing short of magnificent. It was a joy to reconnect with so many old friends. But even writing this now makes me more determined than ever to say, “Saratoga, I’ll be back.” How I’ve missed thee. And since I now live nearby—where I’ve based the Artemis Farm Rescue—I’m excited to make Saratoga a part of my summers once again. Doesn’t everyone always come back to Saratoga?